Background/Purpose: Myeloid differentiation primary response 88 (MyD88) is a critical adaptor protein that connects Toll-like and IL-1 receptor signaling to activation of NF-κB. Germline loss-of-function mutations in MyD88 cause immunodeficiency, while somatic gain-of-function mutations have been linked to lymphoma. We investigated a child with a progressively destructive small-to-medium joint polyarticular JIA since the age of 2 with persistent neutrophil predominant synovial infiltrates. Methods: We evaluated the patient and family members by whole exome sequencing (WES), peripheral blood immunophenotyping, and phosphorylated-STAT3 (p-STAT3) quantitation. Functional studies in monocytes and dermal fibroblasts included gene/protein expression, quantitation of neutrophil chemotaxis, and siRNA-mediated knockdown of MyD88 and NF-κB subunit p65 (p65). Wild type (WT) or S222R MyD88-AU1 fusion proteins were re-expressed in MyD88-deficient THP-1 cells. NF-κB activity in THP-1 cells was measured via p65 phosphorylation. Molecular mechanistic studies assessing capacity of S222R MyD88 to aggregate, which is necessary for pathway signaling, were performed via centrifugal sedimentation and immunofluorescence imaging. Results: WES revealed a de novo heterozygous missense mutation in MYD88 (c.666T>G, p.Ser222Arg), which was confirmed by Sanger sequencing in both peripheral leukocytes and dermal fibroblasts. Immunophenotyping showed a persistent absence of CD16+ monocytes, an expansion of CD4+ Th17 T cells, and the presence of a previously uncharacterized CD123+CD11c+ dendritic cell population, as well as markedly increased basal and stimulated p-STAT3 in monocytes and T and B lymphocytes in the patient. Peripheral monocytes exhibited a baseline interferon gene expression signature and increased expression of neutrophil and monocyte chemokines. Fibroblasts exhibited significantly greater baseline expression of CXCL chemokines compared to controls, which abated upon MyD88 or p65 knockdown. Re-expression of WT or S222R MyD88-AU1 fusion protein in MyD88-knockout THP-1 cells demonstrated increased p65 phosphorylation in S222R-MyD88-expressing cells compared to WT. Similar to L265P, the most common lymphoma-associated MyD88 gain-of-function somatic mutation, S222R-MyD88 aggregated in THP-1 cells to a greater extent than WT MyD88 protein, which was visualized by immunoblotting of re-solubilized aggregates as well as immunofluorescence microscopy. Conclusion: This is the first description of a de novo germline MyD88 mutation associated with severe polyarticular JIA. Gain-of-function effects demonstrated in the patient’s hematopoietic and non-hematopoietic cells, occurring through increased MyD88-S222R aggregation, offer a plausible mechanism for arthritis and support a role for single gene defects contributing to extreme JIA phenotypes. Disclosure: K. A. Sikora, None; J. R. Bennett, None; Z. Deng, None; W. L. Tsai, None; A. D. Brundidge, None; F. Navid, None; G. Layh-Schmitt, None; E. Hanson, None; M. G. Gadina, None; L. M. Staudt, None; T. A. Griffin, None; R. Colbert, None. Sikora KA, Bennett JR, Deng Z, Tsai WL, Brundidge AD, Navid F, Layh-Schmitt G, Hanson E, Gadina MG, Staudt LM, Griffin TA, Colbert R. Severe Juvenile Arthritis Associated with a De Novo Gain-of-Function Germline Mutation in MYD88 [abstract]. Arthritis Rheumatol. 2017; 69 (suppl 4). 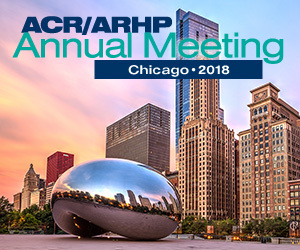 https://acrabstracts.org/abstract/severe-juvenile-arthritis-associated-with-a-de-novo-gain-of-function-germline-mutation-in-myd88-2/. Accessed April 18, 2019.